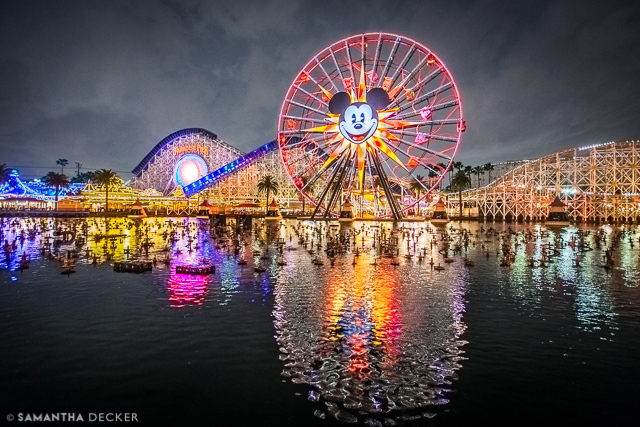 Ever since I visited Disneyland for the first time in 2012, I've wanted to go back. 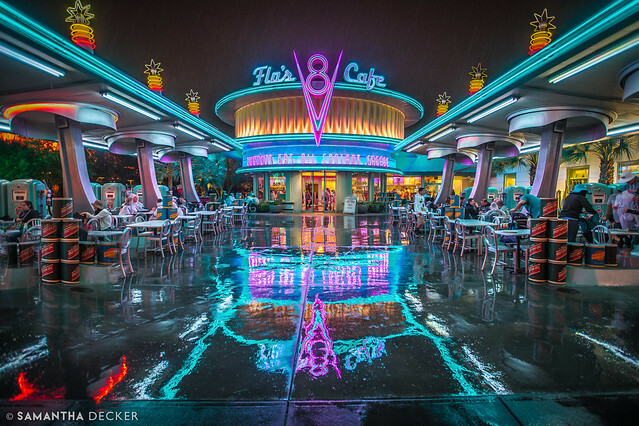 Being a frequent visitor to Walt Disney World, Disneyland brings me that same magic but with just a slightly different esthetic. 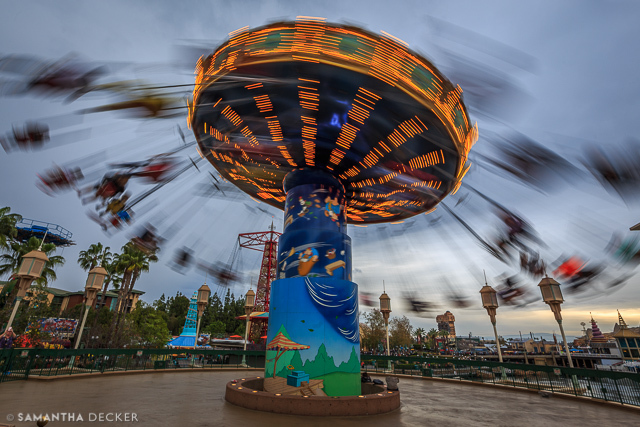 Disney California Adventure, which opened in 2001, is a tribute to the Golden State, with some of the same rides as Disney's Hollywood Studios at Walt Disney World, as well as a number of unique attractions. 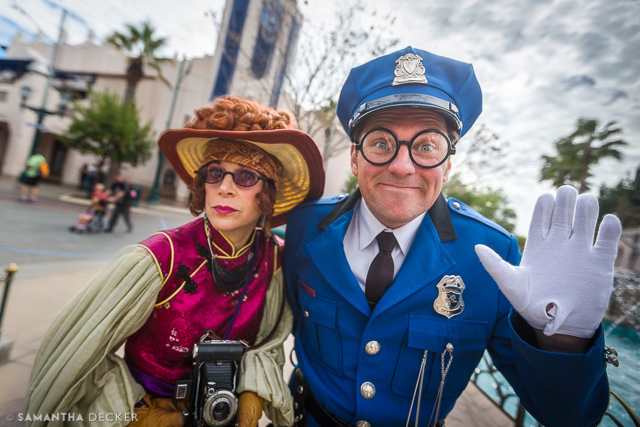 The first photograph I took at DCA was of Phi Phi Frances and Officer Blue. They mere more than willing to pose for me, and I used my wide angle lens to accentuate their eccentricity. 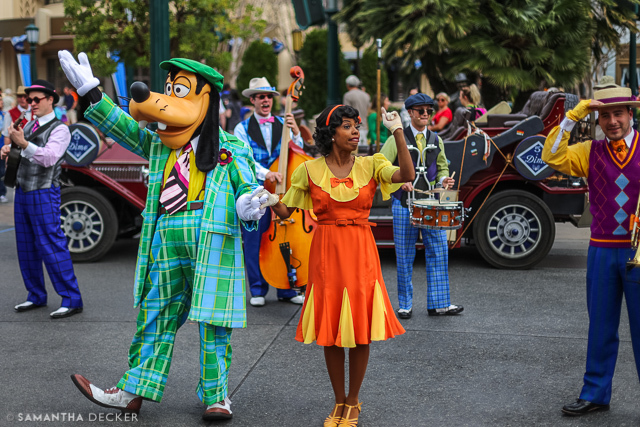 Shortly after talking to Phi Phi and Officer Blue, I caught a performance from Five and Dime featuring Goofy! 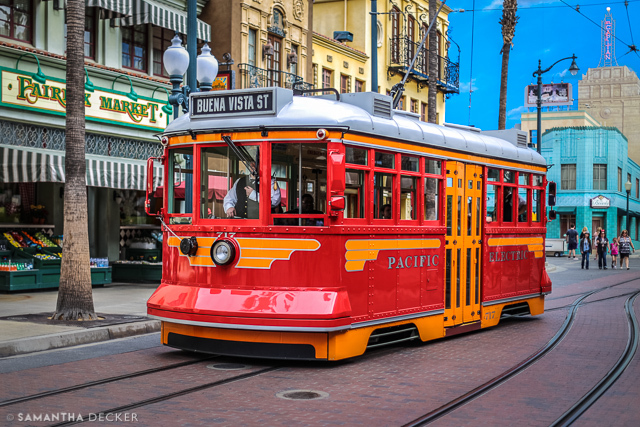 Buena Vista Street has its signature red car trolley. 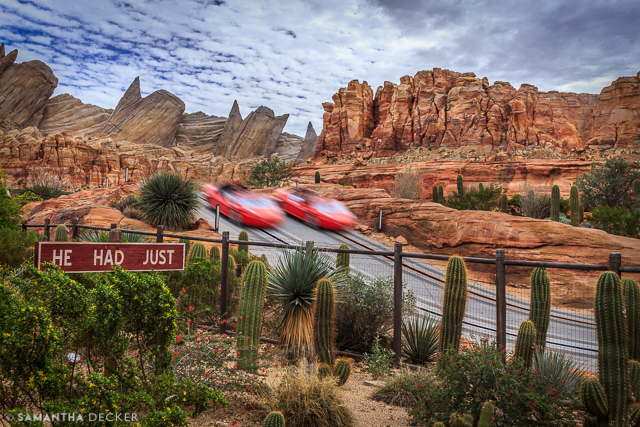 Over in Cars Land, Radiator Springs Racers continues to be the most popular ride, and with good reason. I loved taking a shot of the cars racing by. 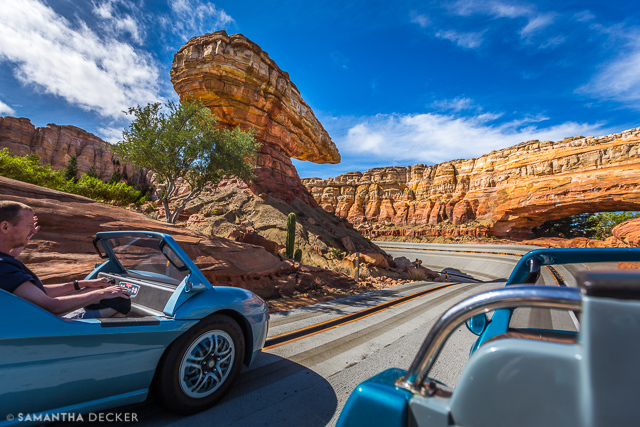 Another thing I love about Cars Land is the actual cars from the movie that pop up when you least expect them! 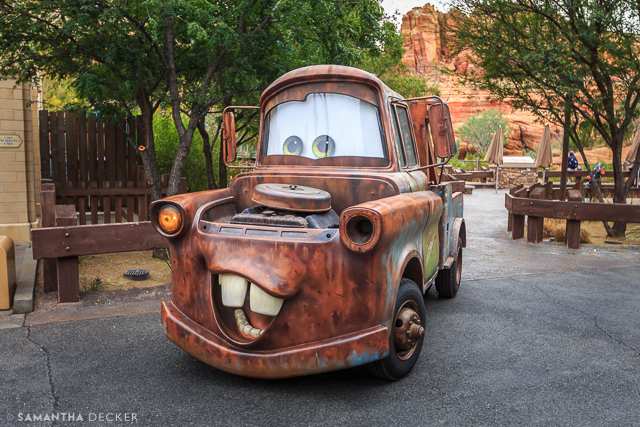 I happened to catch Mater rolling by. 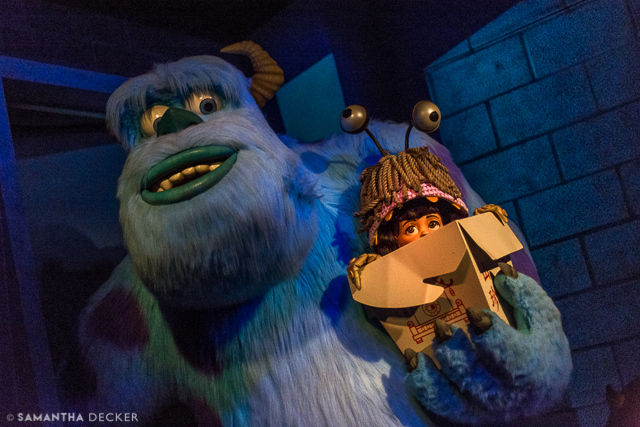 I was excited to go on the Monsters Inc. ride, since I had never been on it and it doesn't have a Florida counterpart. 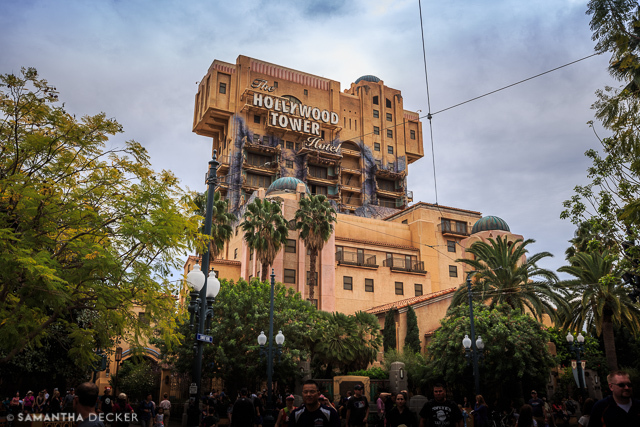 The Hollywood Tower Hotel looks a lot different at Disneyland than it does at Walt Disney World. 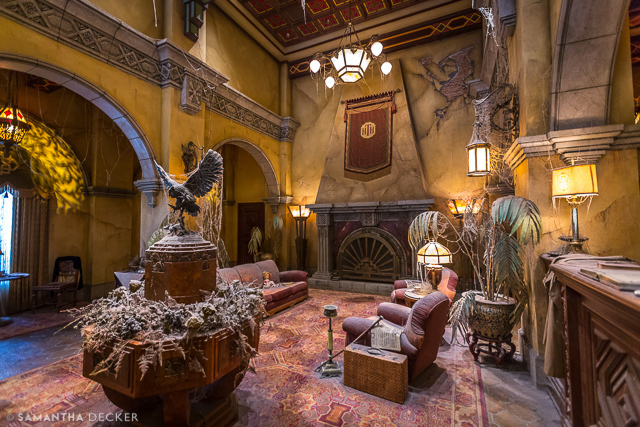 The lobby, though, looks exactly the same. 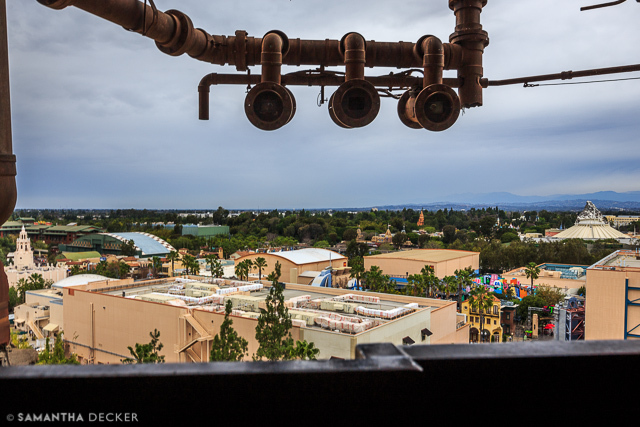 The view before the big drop looks out across the esplanade to Space Mountain and the Matterhorn at Disneyland Park. 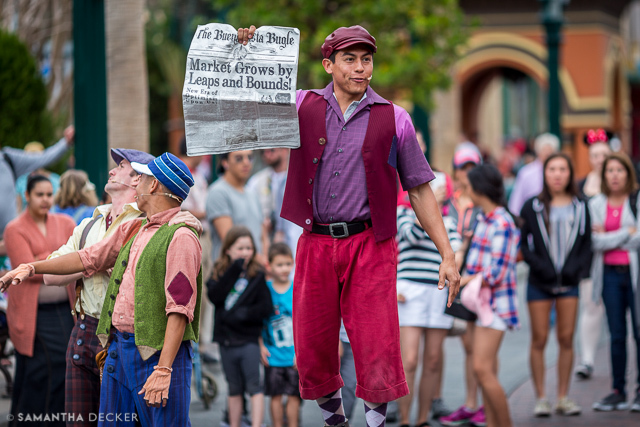 I love street shows! 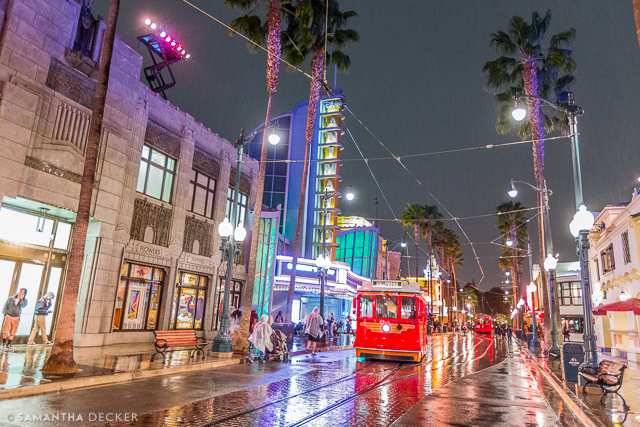 The Red Car Trolley Brigade sings and dances to a tune about how Walt Disney got his start. 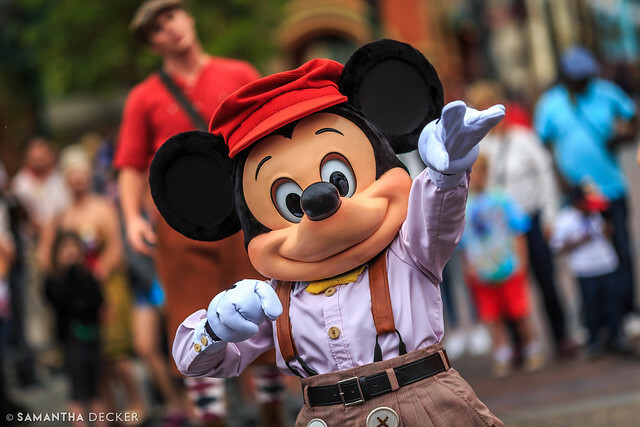 Mickey even makes a surprise appearance! 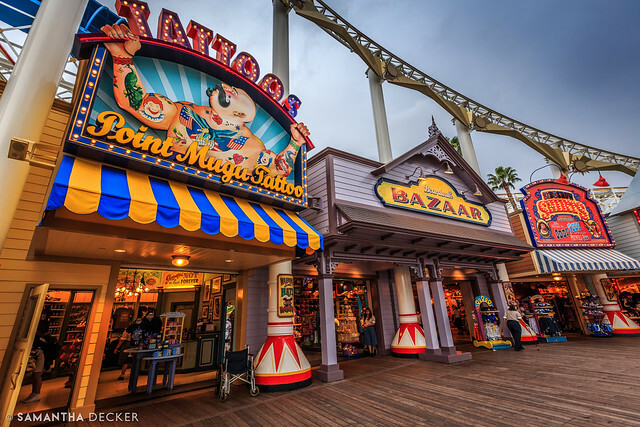 The theme at Paradise Pier is a turn of the century carnival by the sea. 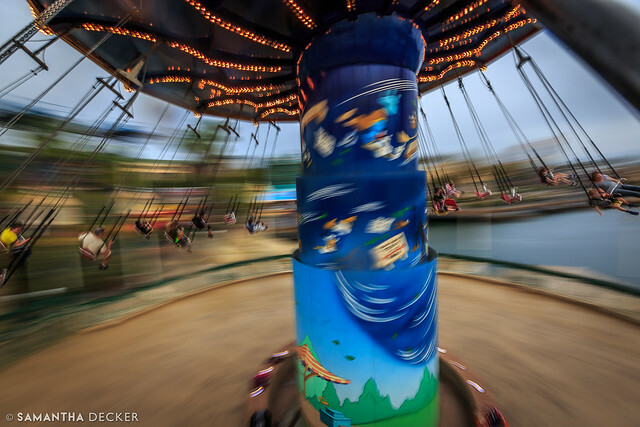 Silly Symphony Swings is one of my favorite rides. It's simple, but fun. Plus, it's a lot of fun to photograph! 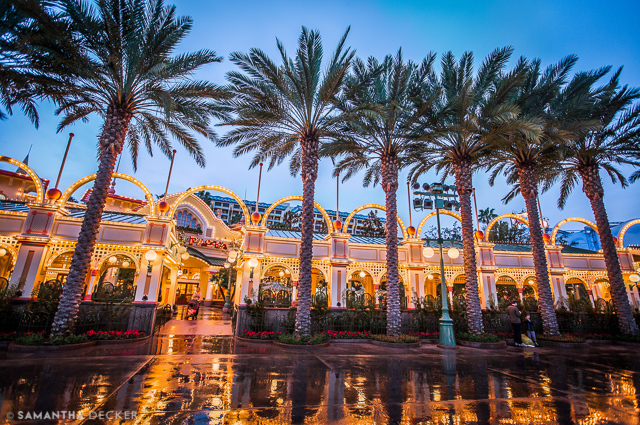 It rained a lot that day, but the upside was the beautiful reflections, that only got prettier as the night fell. 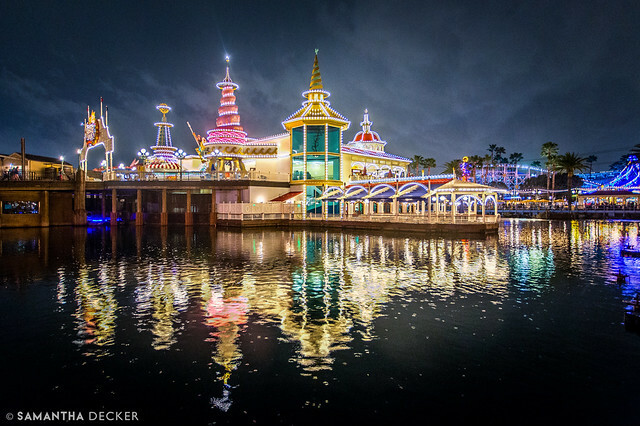 Paradise Pier might just be the most beautiful part of the park at night. 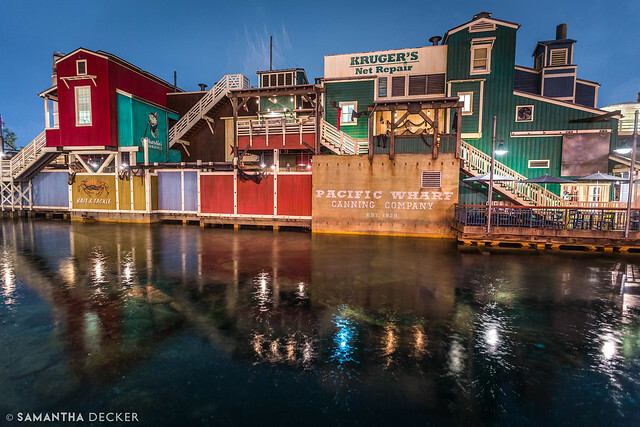 Over in Pacific Wharf, the colorful buildings were enhanced by their reflection in the water. 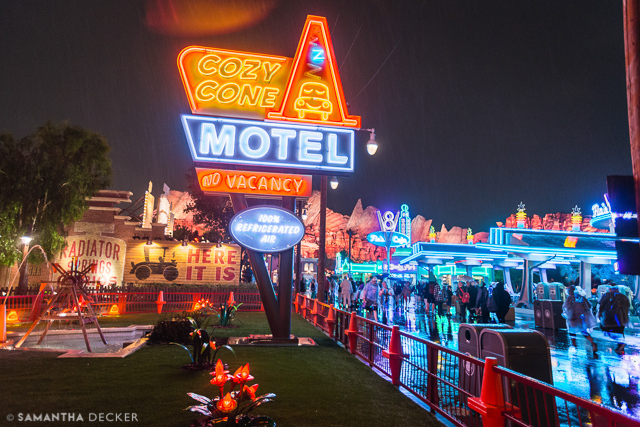 Cars Land was equally photogenic on this rainy evening. 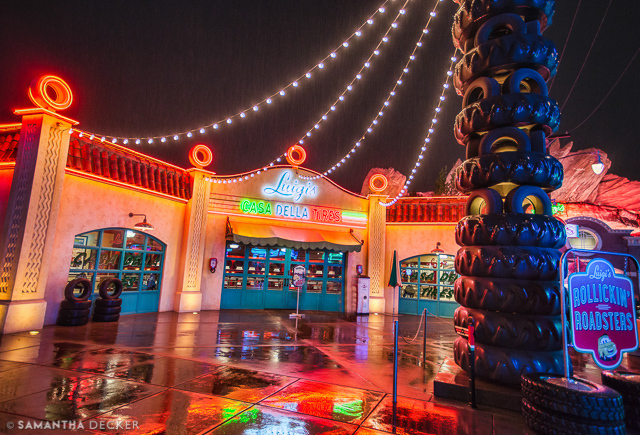 It was raining so hard, you can see the rain coming down in the photos! Drops of water started to get on my lens, like in the photo above, but I kind of like the effect they created, so I didn't bother to reshoot. 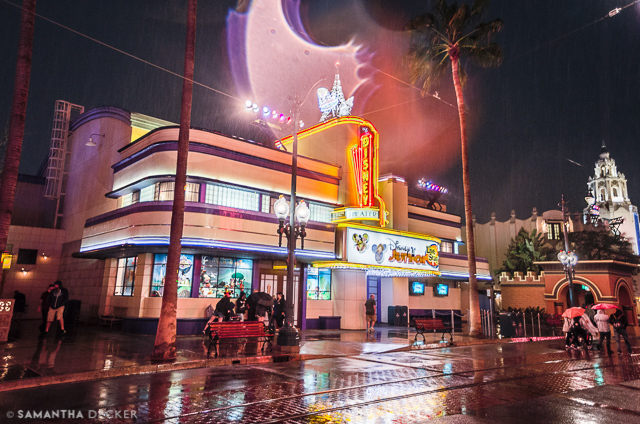 One might think the rain would drive away the crowds, but not at Disneyland. Though, through some patience and careful Photoshop work, I was able to get this relatively people-free shots. 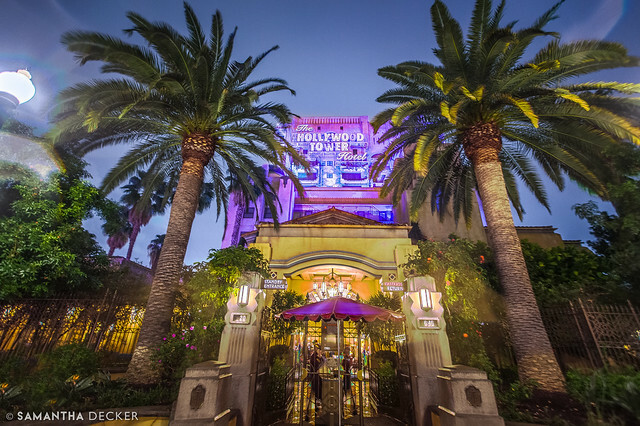 The Hollywood Tower Hotel is colored bright purple at night. Here come the red trolleys! 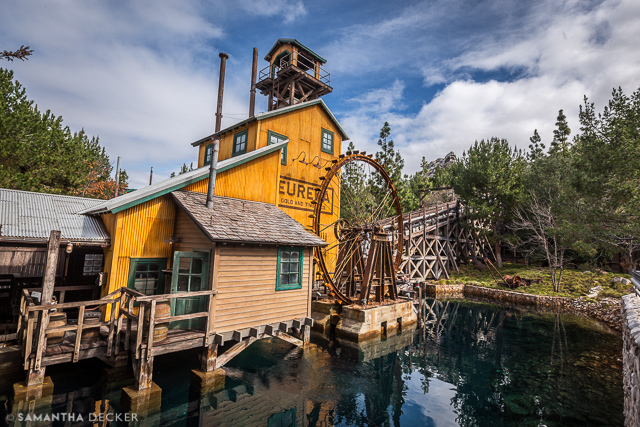 I didn't ride in one because I was still after a few more photos before leaving the park. A huge drop of water landed on my lens for the above shot, but once again I thought the effect was neat and decided to go with it. 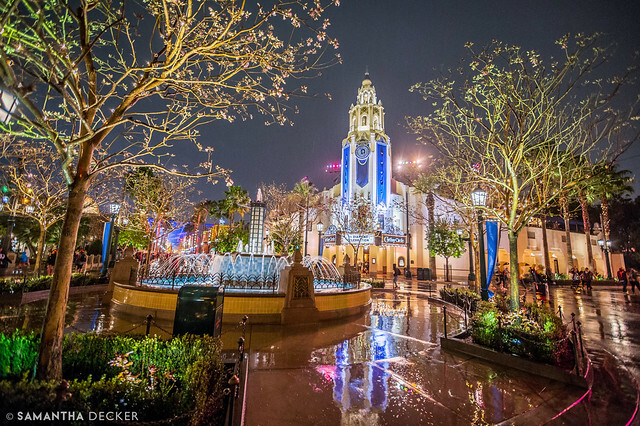 Some time I would like to get a tour of the Carthay Circle Theater Restaurant, pictured above. 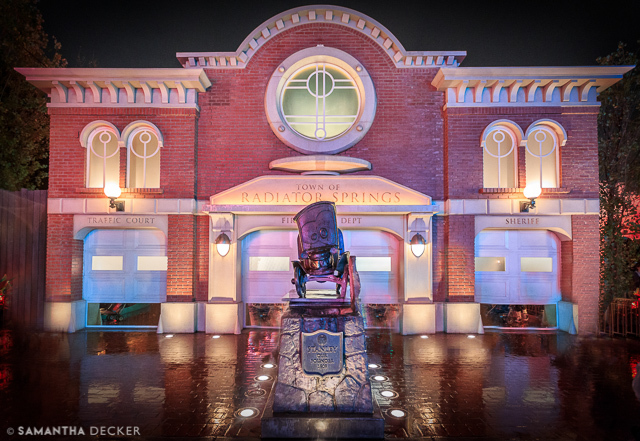 The following morning, I returned to DCA to ride Radiator Springs Racers. 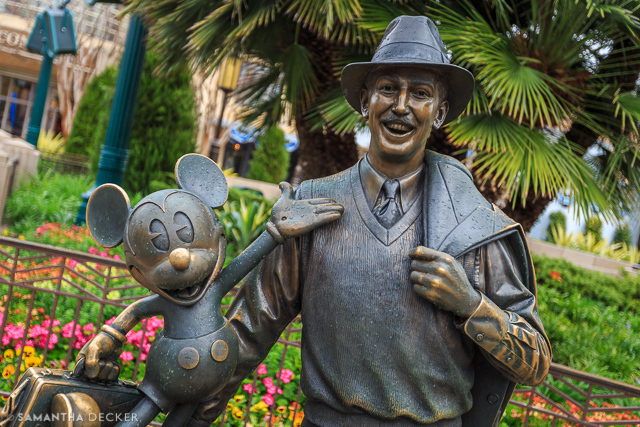 There is a statue of Walt and Mickey on Buena Vista Street, but it doesn't have the same prominence as the Partners Statue at Disneyland Park. I love this tree. I finally was able to grab a shot of it without people walking around in it. 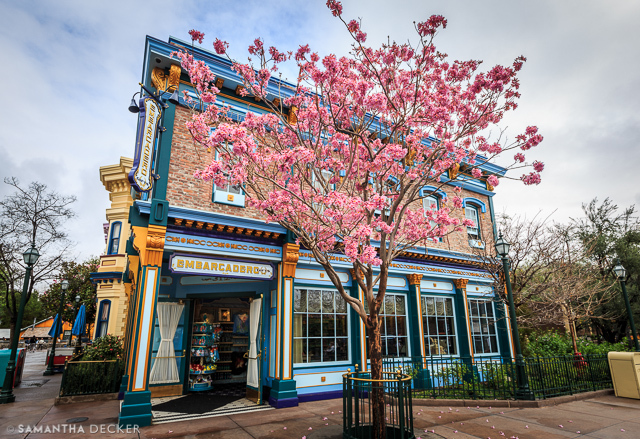 The Eureka Gold and Timber building is located in the Grizzly Peak area. 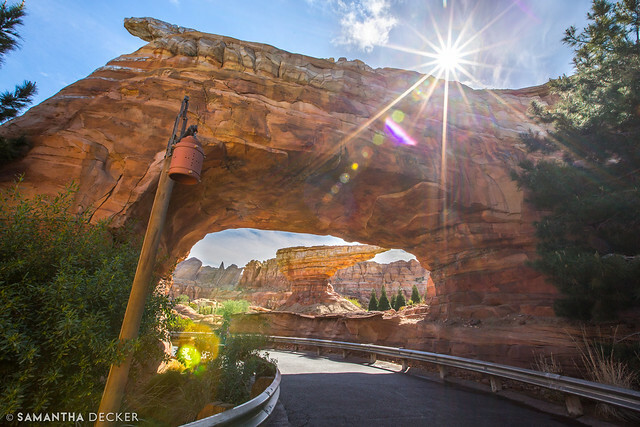 I won't ever pass up an opportunity to capture a sun star, and the sun was ready and waiting as I entered Cars Land aka Ornament Valley. 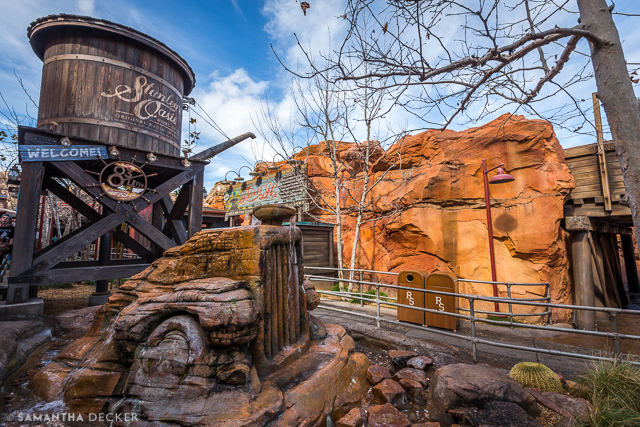 The queueing area for Radiator Springs Racers has lots of interesting details. 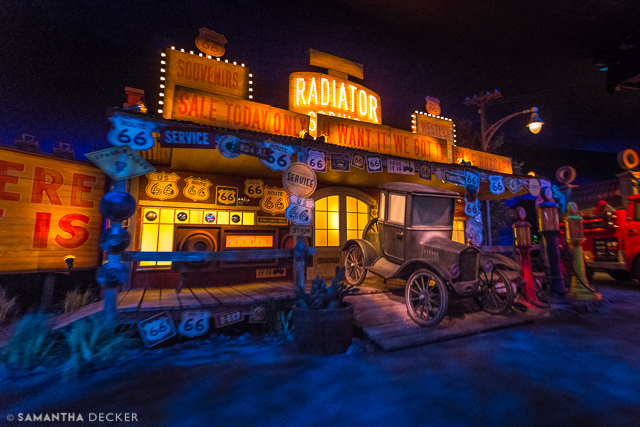 Inside the ride, you travel through Radiator Springs. The end of the ride, the race against the other car, is the best part!